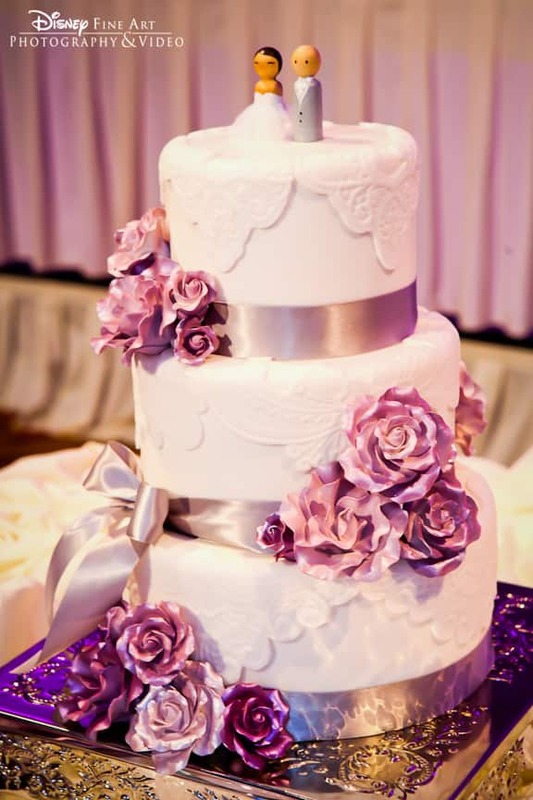 Today's three-tier beauty is all about sweet elegance. 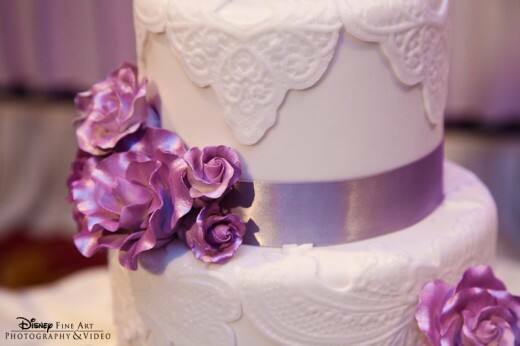 With fondant lace accents, satin ribbon and lavender roses this cake is both romantic and stunning. But don't be fooled by the traditional exterior- the interior is actually a flavorful surprise in the form of Oreo cake! 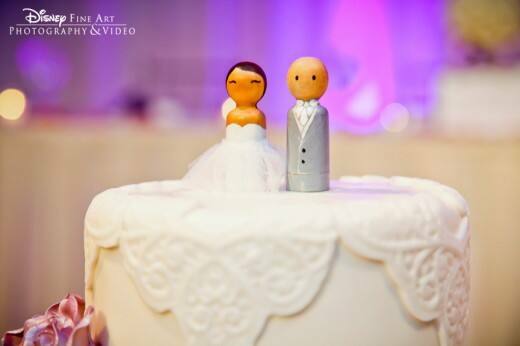 As if this cake wasn't darling enough on its own, the bride's best friend decorated gaming pegs to look like the bride and groom to grace the top of this masterpiece.